Convenient 7 oz. propel/repel tube. 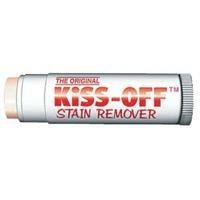 This on-the-spot stain remover eliminates most stains without laundering or dry cleaning. For use on silk, cotton, linen, most synthetics and other fine fabrics when they have been stained by oil paint, lipstick/makeup, grease, etc. Also great for cleaning rubber stamps without drying out or compromising the rubber.